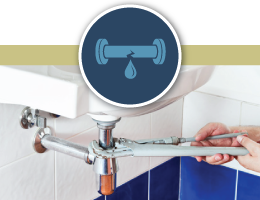 From a leaky tap to blocked-pipes and everything inbetween, we are able to provide a fast and reliable plumbing service you can trust. 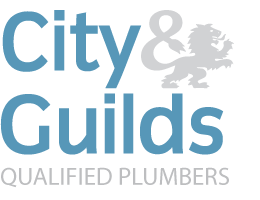 No matter how big or small your job is, our experienced team of qualified Plumbers are on hand when you need us and we strive to deliver exceptional service. If your current bathroom suite is looking a bit tired or maybe you fancy spoiling yourself with a new luxury suite, we can help. 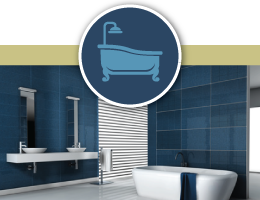 We can supply a wide range of modern and traditional bathroom suites for every budget, fitted with the utmost care by our qualified team of experienced Bathroom Fitters. Having issues with your current shower? Is it lacking the power to deliver an invigorating shower? If so, we can supply and fit a new shower unit, and if required, a new shower enclosure or bath screen. 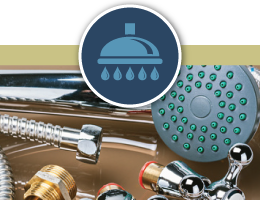 We supply and fit showers from most manufacturers and can have yours fitted within days from now. Wet rooms are becoming increasingly popular as they offer a practical and stylish alternative to the traditional bathrooms suite. 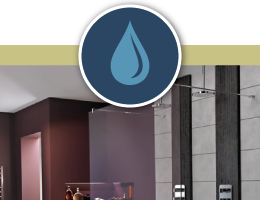 From planning, supply and expert installation, we can help you convert any bathroom or cloakroom into a stunning wet room that you and your family can enjoy for years. Covering Farnham, Aldershot, Alton, Camberley, Farnborough, and Fleet.